Tom Long has been a driving coach and instructor for more than a decade, working at all levels of motorsports, including lapping day enthusiasts, amateur racers and upcoming drivers in the professional ranks. Coaching clients like Tyler Cooke, Britt Casey, Jr. and Devin Jones have all gone on to professional success, and younger drivers such as Ashton Harrison, Bradley Zilisch and Harrison Burton are well on their way to promising careers. 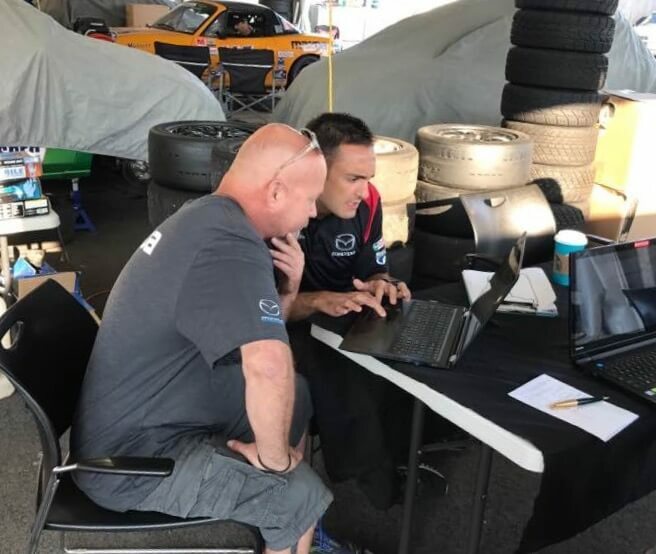 While best known for his expertise at local tracks like Virginia International Raceway and Road Atlanta, Tom also has extensive, current experience at tracks throughout the United States. 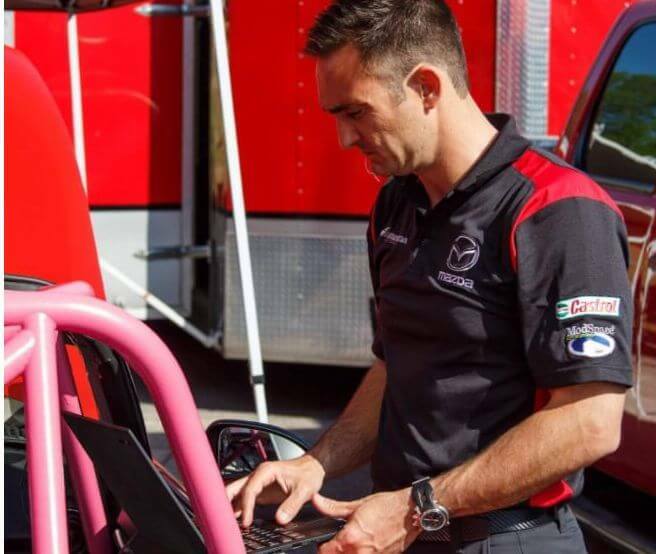 As a driver for Mazda Motorsports in the IMSA WeatherTech SportsCar Series, Tom visits the top race tracks each year for competition and testing. In order to maximize at-track coaching, Tom employs various methods of gathering and analyzing data to guide you toward your driving goals. of improvement for the next on-track session. Two-way in-car communication provides immediate, live feedback about driving lines, inconsistency, and preparing for what’s ahead on the track. In a racing environment where right-seat coaching is not an option, two-way radio communication helps with mental preparation both before and during the event. Live communication improves focus on the goals and provides immediate feedback, as well as providing spotting during a race. Two vitally important aspects to successful driving, these steps help determine what areas to focus on and how to implement these practices on your own in the future. If you’re ready to take your driving to the next level, contact Tom to get more details or to schedule a coaching session.